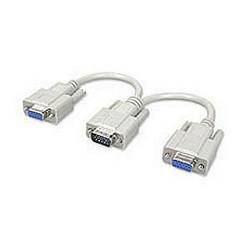 Send your computer's video signal to two separate VGA monitors. Display the same image on any two displays, LCDs or projectors. Fantastic for presentations when you need a monitor and a projector displaying the same screen.